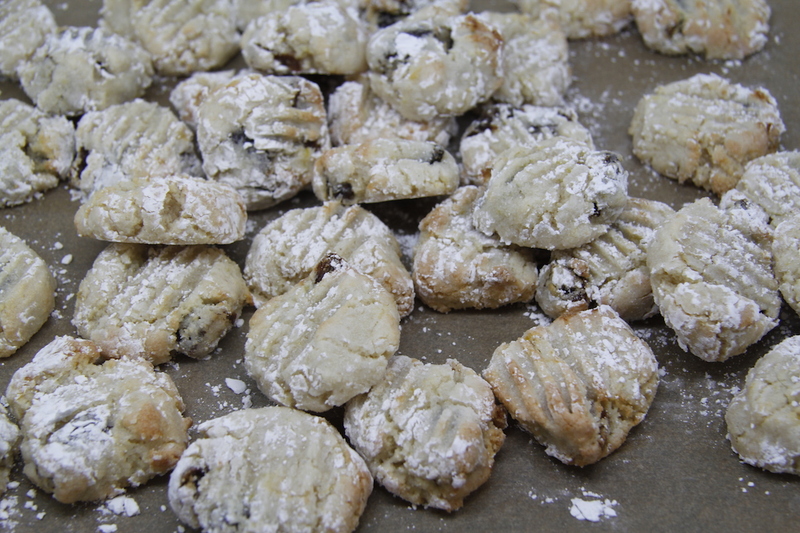 I make these little almond gluten-free cookies a lot as they are not only delicious, but they use up egg-whites. We have a lot of egg-whites left-over from icecream making. James loves these, but much to his disapproval I frequently give them away as other people love them too. 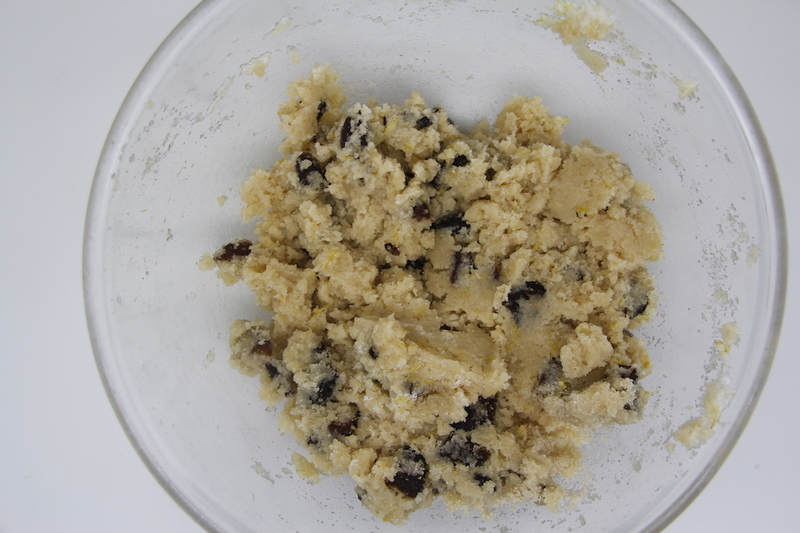 I always make a double batch as this uses 4 egg whites which is what I have leftover from icecream making more or less. 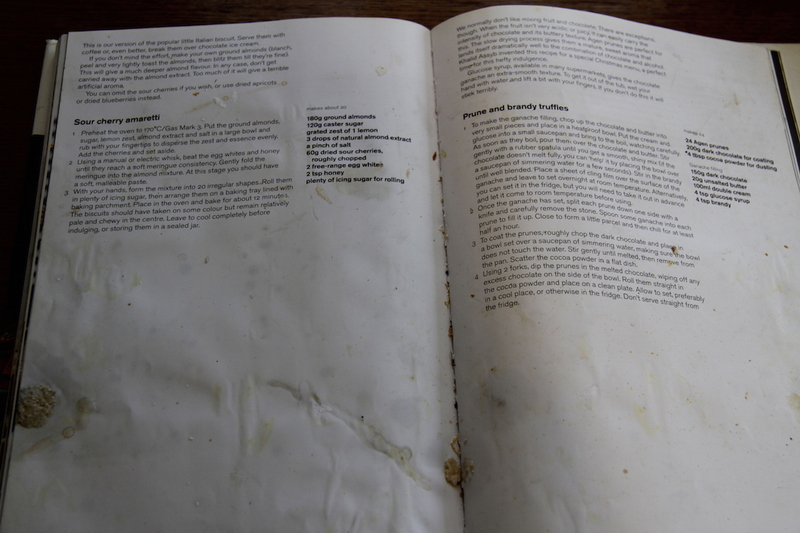 I mentioned before (see here) that I am a messy cook and am constantly spilling food no my recipe books – here is a photo of the page with this recipe on. I am not sure what is more sad, the fact that I have made the book so messy or that I still can’t remember the simple recipe even though I have made it hundreds of times! 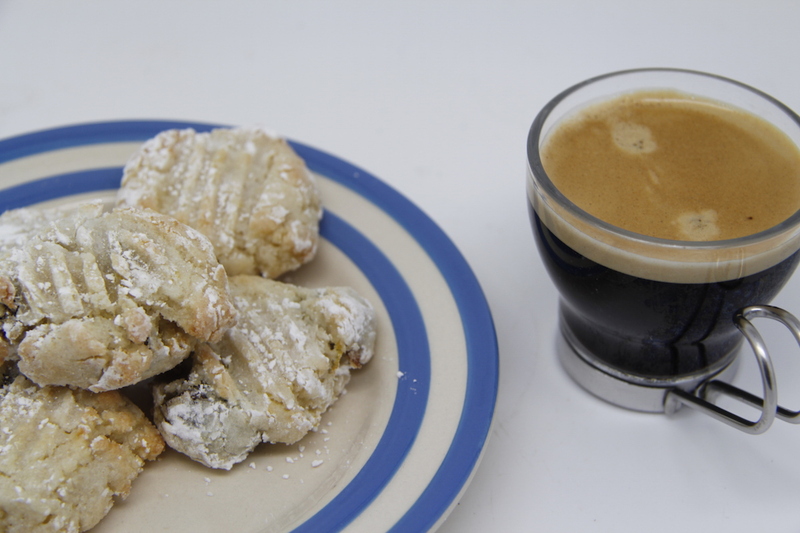 This is a brilliant cookie recipe from Ottolenghi: The Cookbook so give it a go. 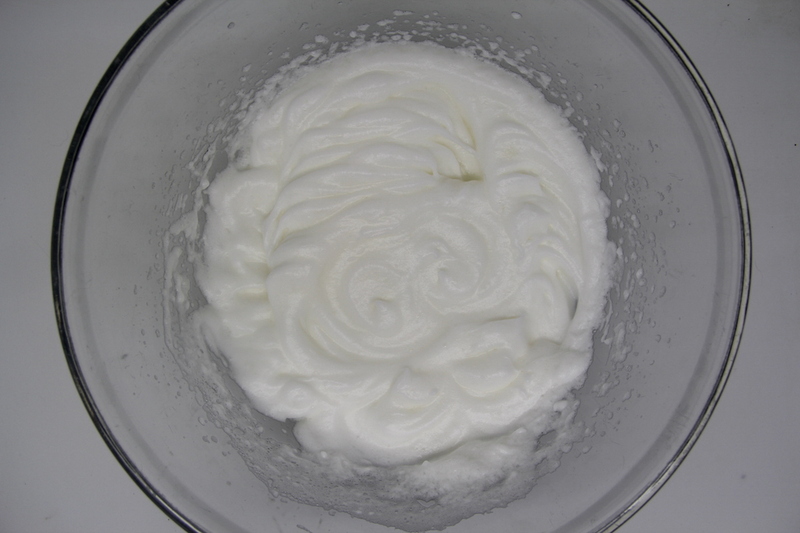 Put the egg whites in a bowl with the honey and whisk. 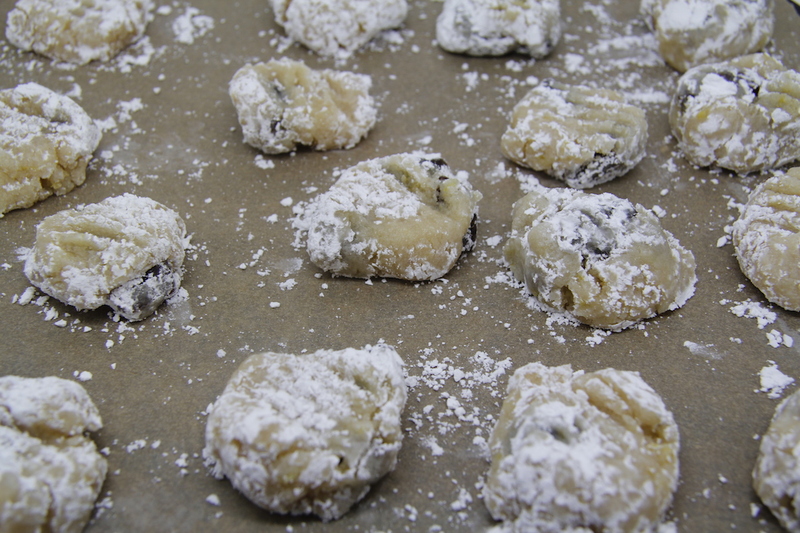 Put all the dry ingredients apart from the icing sugar in a bowl and mix. Fold the egg whites into the dry ingredients. 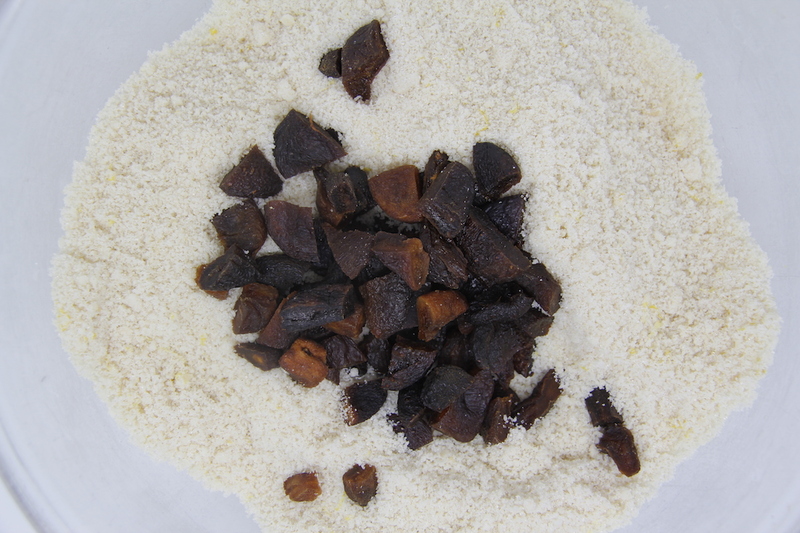 and bake at 170C for 12 minutes or so until just starting to go a little golden brown. Leave to cool on the tray. These look great! I must give this a go over the weekend or when I break up for the Christmas break.